Un grand champion américain des années 80, spécialiste du couché, qui vient de nous quitter en 2017 ! Weeks 1-4: You will get weaker due to overtraining, but this is necessary for the residual effect to take place later in the cycle. Poundage remains constant during the first four weeks. Weeks 5-8: This phase is an overload portion that will add to the overtraining and allow for an even greater effect. This phase focuses on the muscle confusion theory where as you are shocking the muscles in different ways. Weeks 9-16: This is the actual contest-training phase. More emphasis is placed on the weights being handled and assistance work is reduced. Below is Magruder’s actual training program, eight weeks out from a meet. Mondays were light bench day and Thursdays were heavy day. 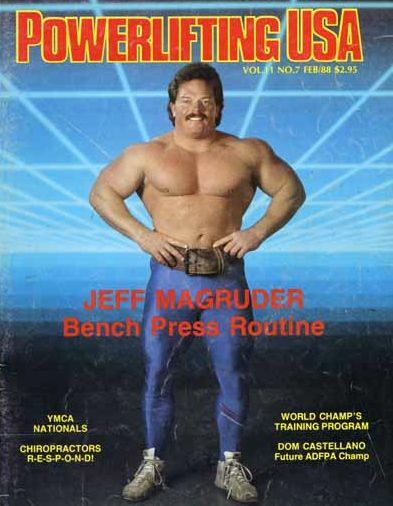 Jeff Magruder has done a lot in the world of strength and fitness. 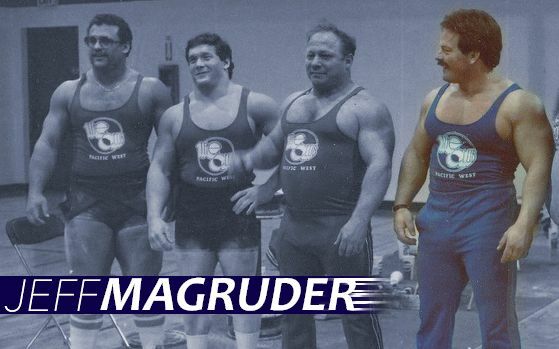 A multi-world record holder in the bench press, a successful gym owner, and a successful all-around lifter, Magruder has certainly made his mark. Through the years, Magruder competed in powerlifting in several different weight classes. But the bulk of his competitive days—and his record breaking—came in the 242-pound class. 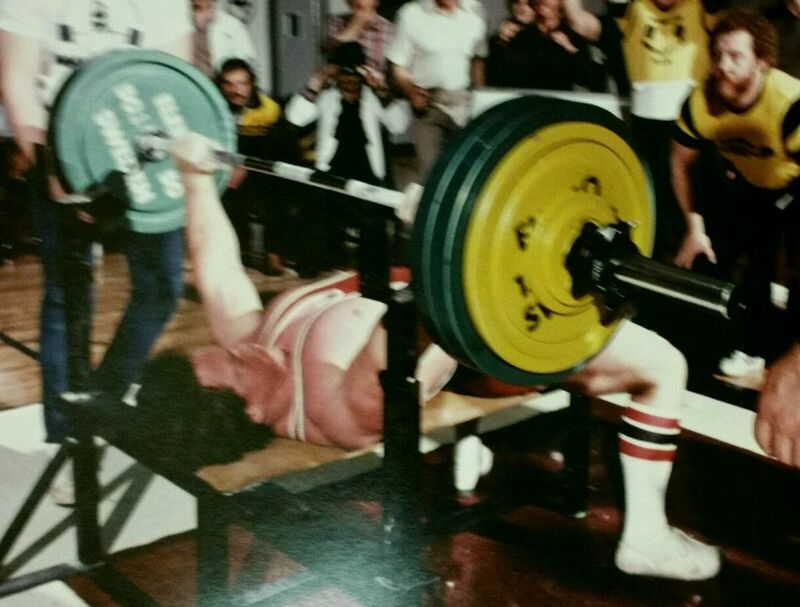 And though he was also more than competitive on the other lifts, the bench press was always his bread and butter. 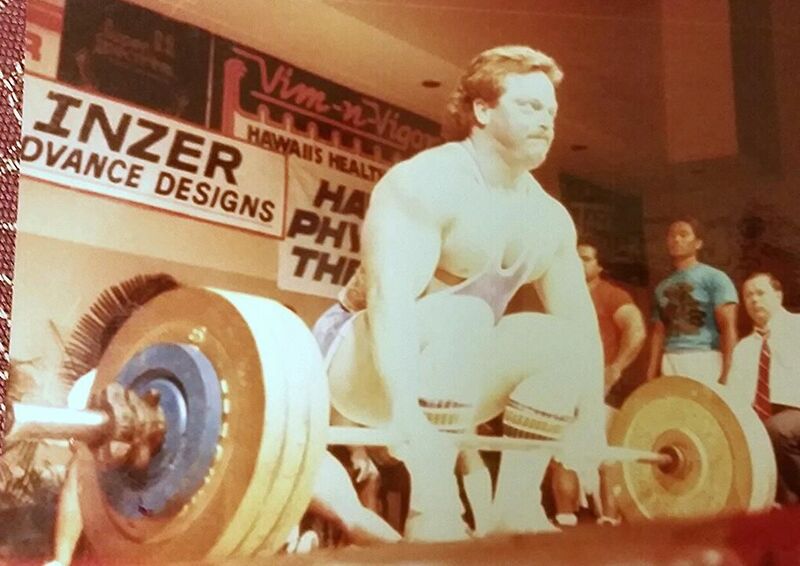 “While known for my bench, I really did pride myself on being an all-around lifter,” he recalled. Magruder’s strength training began at a fairly young age. One of five boys, he came from a fairly athletic family and played sports, including football and wrestling, during his school years. As he got a bit older, he and his brothers got more into lifting weights. In fact, his brother was his first training partner. And his first training space was the basement of his parents’ house. Since then, he’s trained with the likes of former Mr. USA John Burkholder and former Dallas Cowboy and Seattle Seahawks tight end Ron Howard. 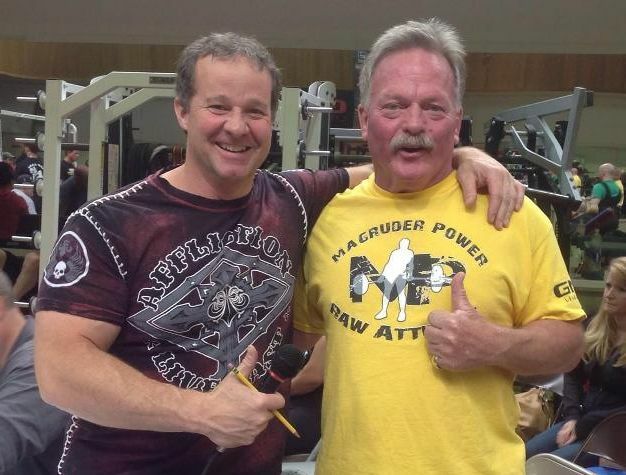 He’s also competed with and against other legendary powerlifting names such as Mike MacDonald and Larry Pacifico. 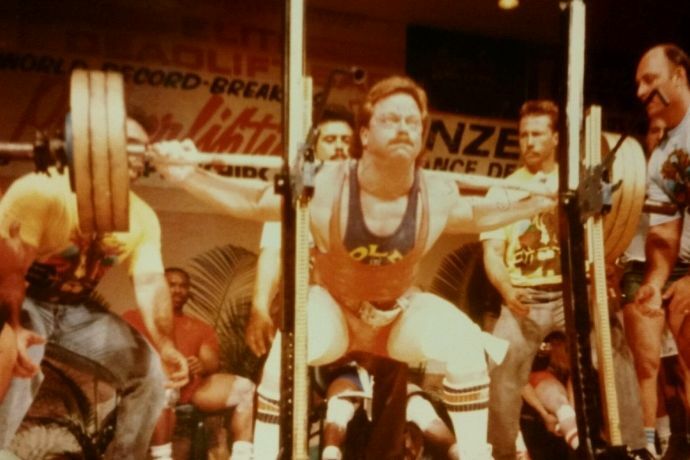 Throughout his lifting career, he recalls several interesting meets and events. In 1982 he lifted at the Wally Boyko Productions fitness competition, which was sort of a precursor today’s Arnold Classic, since it was a large, convention-style event. The attraction even featured entertainment in the middle of the venue, which Magruder said included a man that showed off his incredible neck strength by essentially hanging himself from the ceiling with a noose, only to work his way out of it. 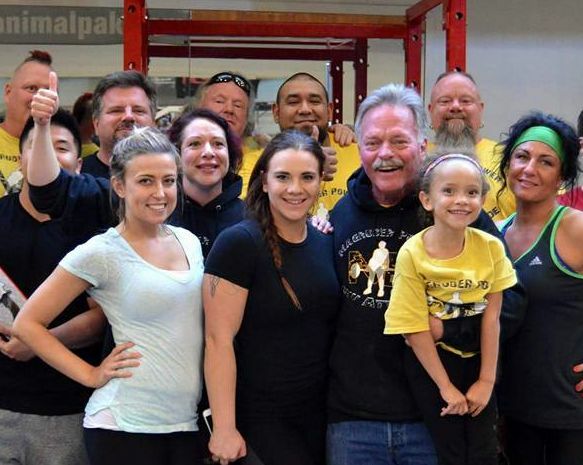 All of the entertainment and interesting stories helped to make his lifting career fun. But overall, Magruder was focused on his lifts. And he strived to get better and better with each competition. One of his most memorable meets was a large event held in Hawaii back in the mid ‘80s. He remembers the Waikiki Sheraton packed full of people and an eventful meet. But most importantly, he reached a long-time goal and totaled over 2,100 at the meet and beat his own personal record. “I was just trying to beat my own record each time,” he said. That doesn’t mean that he wasn’t competitive, though. While he tried not to worry too much about what others were doing, there was one instance where Magruder was sitting at the hotel bar on the night before a competition. When his competitor sat down next to him, he channeled his inner “Arnold” and decided to pull a move straight out of Pumping Iron where Schwarzenegger played mind games with a young Lou Ferrigno during breakfast. Not only did he end up psyching out his opponent, the next day he handily beat him, topped his personal best, and set a new world record. This also was before today’s modern round system and lifters back then often would have to follow themselves during attempts. Magruder used this to his advantage by passing on his second attempt and forcing his competitor to essentially take back-to-back attempts. 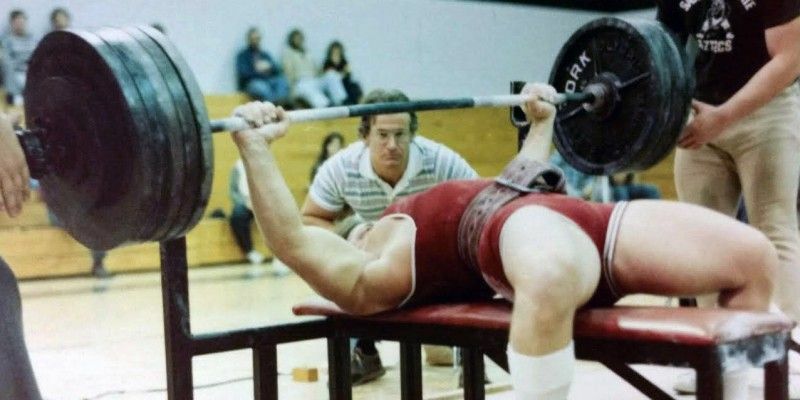 And, since Magruder was planning on making a world record attempt, he knew he would be granted a fourth lift and would still end up with at least three chances like everyone else. Some of Magruder’s best lifts include a 2106-pound total, 778-pound squat (840 pounds in the gym), 706-pound deadlift, and a world record 640-pound bench in the 242-pound class. He also held the American record at 220 pounds with a 580-pound bench and has done over 500 pounds at 198. This also was well before today’s modern bench shirts and supportive gear. An advocate of high volume training, Magruder once benched 315 for over 50 reps, followed by three additional sets of more than 20 reps.
“The biggest problem I have found is that most benchers don’t use their upper pecs sufficiently. There’s a great deal of muscle there and training it directly is a major key to successful benching. Many keep their elbows close to the body and use more triceps,” he said. At the 1988 World Championship in Canada, Magruder injured his neck and the back of his tricep. He was never able to fully recover from that injury. He never competed seriously again after that. However, he did make an appearance at a competition in Puerto Rico at age 42 and still ended up benching in the mid 500s. side from lifting, Magruder spent his time working for his own construction company. 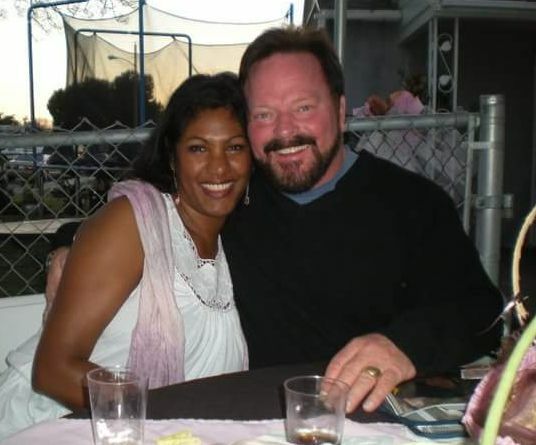 He has a degree in construction management, so he worked to build fitness centers, strip malls, and even Casinos in the Pacific Northwest. He even started a couple of gyms with his brother through the years. These days, Magruder still tries to be active. But he’s come across a new obstacle. A few months ago, Magruder was diagnosed with ALS, a disorder that impacts the muscles and neurons and is commonly referred to as Lou Gherig’s disease. There’s no known cure for ALS. However, scientists in other parts of the world, specifically in Israel and China, are working with stem cells to develop revolutionary treatments for ALS. Magruder has a wife and four kids who are supporting and taking care of him during this time. However, getting to China for treatment is proving to be incredibly expensive. Magruder and his family are looking for any kind of help or opportunity to make the financial burden easier on their family, while still getting Jeff the help he needs. In the meantime, Magruder remains in high spirits. He even goes to the gym regularly. While he isn’t exactly breaking any bench records, he likes to remain active, lifting bars and using the machines. He even provides help and guidance to other gym-goers. He has a large group that he trains regularly. And he doesn’t charge anything — he just enjoys helping people in any way he can.